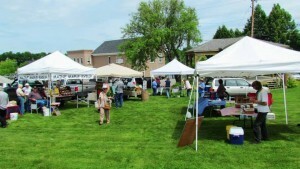 Calais Farmers’ Market is located on the Village Green in downtown Calais. The market is held every Tuesday from 3:00pm-5:00pm from late June through mid October. Offerings include a variety of fresh local produce, herbs, farm fresh eggs, maple syrup, seasonal fruits & berries, plants, herb/spice blends, jams & canned goods, baked goods & crafts. For updated market news see their facebook page.